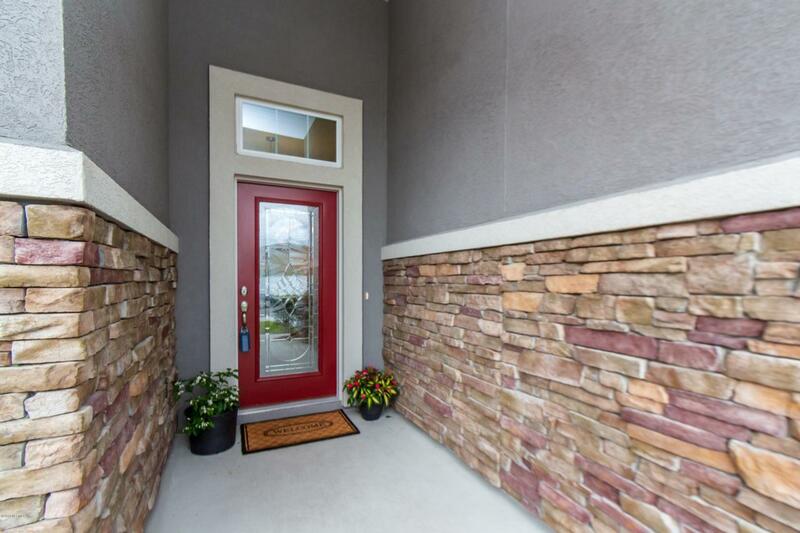 No need to wait for new construction, this home is ready now and loaded with upgrades! 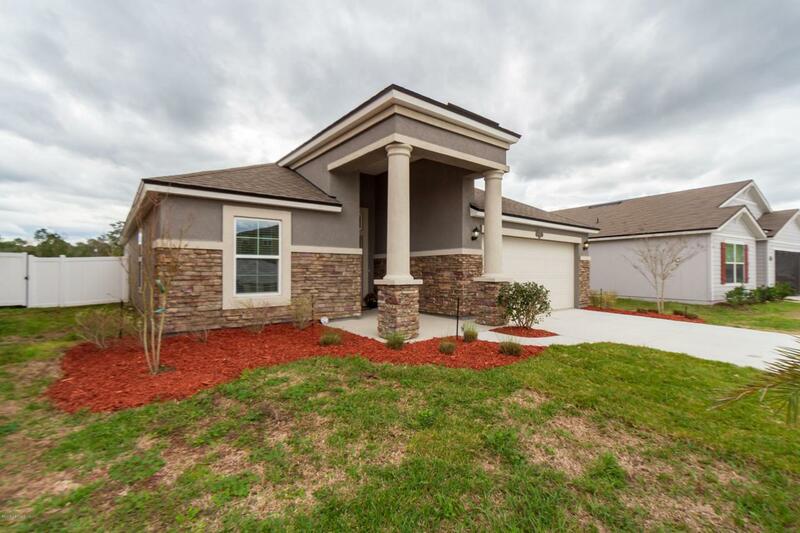 Popular DR Horton Longwood plan features beautiful elevation with covered entry, elegant columns, ledge stone and glass insert entry door. 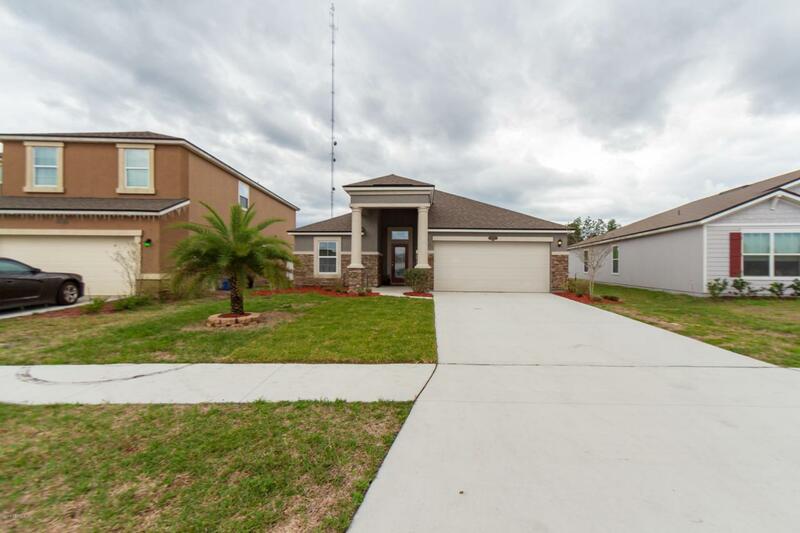 This open concept floor plan also offers California Island, granite countertops, upgraded stainless appliances, pantry, upgraded carpet, tile floors in all living areas, and much more! Flexible floorpan has spacious family room, plus additional space that could be dining area or sitting area. Owners suite offers trey ceiling, owner's bath with garden tub, separate shower and walk-in closet. 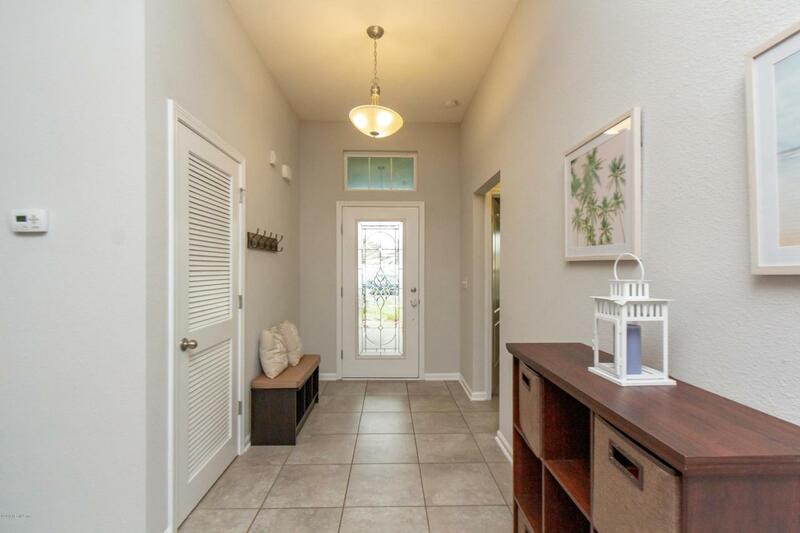 Covered patio overlooks lake to conservation view and nice fenced back yard with pretty palm tree.